This distinguished English poet, novelist and literary critic had strong political views and actually became well known as an anarchist. Despite this though he attained a knighthood and was decorated for his First World War service. As well as poetry, Read wrote a number of books on art and, with a leaning towards art as an educational tool, he was among the first writers in England to acknowledge existentialism. He was born Herbert Edward Read on the 4th December 1893 in a small village called Muscoates which is in the North Riding of Yorkshire. His father was a farmer but there seems to be no indication that the son would follow in this way of life. He was studying at the University of Leeds when war broke out and Read enlisted into the Green Howards regiment. He served in France where he won the Military Cross and the Distinguished Service Order, rising to the rank of captain. He somehow found time for literary pursuits amid the horrors of war and, in collaboration with art critic and historian Frank Rutter, he founded a journal called Arts and Letters and this featured some of the early work of T S Eliot. Understandably the war influenced his writing and his first volume of poetry was published in 1915 under the title Songs of Chaos. A second volume came out the year after war ended, called Naked Warriors, and it featured his observations of trench warfare. 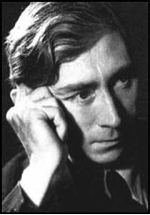 Many critics and fellow poets, including the eminent W B Yeats, considered Herbert Read to be outstanding when compared to other poets. His anthology, Collected Poems, was published in 1946. 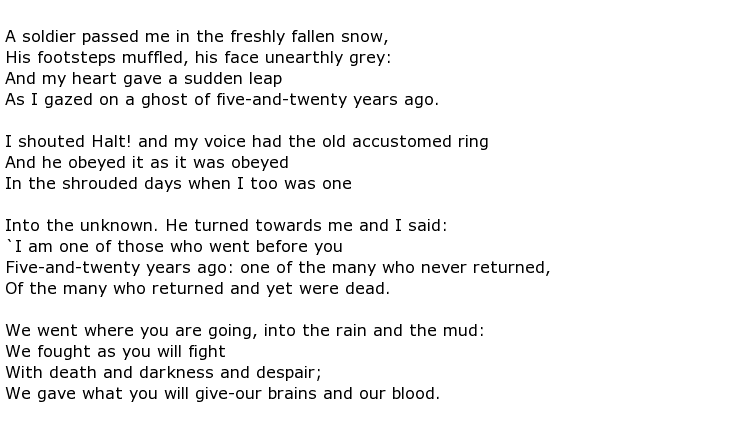 He often used the free verse style and was greatly influenced by imagism and the work of the metaphysical poets. He devoted as much time, perhaps more, to his work as both a literary and an art critic, with regular contributions to such publications as Criterion and The Listener. As well as concentrating on content, Read had a passion for the style and the presentation of the English language. He produced a book on the subject in 1928 called English Prose Style, illustrating how the very foundations of the language contribute to elegant and distinctive writing. History might suggest that Read’s work as an art critic took precedence over his poetry and he certainly used his influence to help budding artists such as Barbara Hepworth and Henry Moore. The University of Edinburgh appointed him professor of fine arts in 1931, a post he held for two years. He had a great interest in surrealism and was influenced by existentialists such as Max Stirner and Jean-Paul Sartre. As a poet though he believed that ‘true poetry was never speech but always a song’ and this lyrical view was, perhaps, at odds with his political leanings in the 1940s and 50s towards anarchism. Despite this he accepted a knighthood for services to literature, in 1953, thus alienating himself from those whose views he shared. The famous slate stone in Westminster Abbey, installed on the 11th November 1985, containing the names of the famous “war poets” includes the name of Herbert Read. During the following decade there was much interest in his work and he has been honoured in a number of places such as the Cyprus College of Art and the University for the Creative Arts at Canterbury. Sir Herbert Edward Read, DSO, MC died on the 12th June 1968 at the age of 74.